Replicahause.ca doesn’t care that much about looks. Sure, it is a very professional looking online replica store, but it isn’t actually classy, modern or friendly looking. It has a very cold and distinctive appearance that isn’t very appealing to new visitors. I, for one, do not like its looks, but I still got to admit that it manages to keep a simple and clean design, focusing on the products it offers and on the available promotions, rather than on aesthetics. The menu bar is located on top of the page while under it we see a huge list of sponsored products. The right side is destined for promoting the special offers. 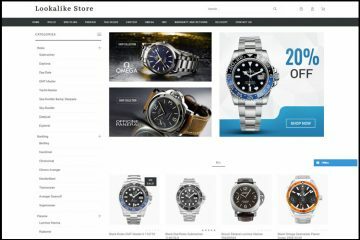 But getting back to the menu, this is very plain and it features buttons for the following product categories: Swiss Replica Watches, Swiss Rolex Replicas, Japanese Watches, Japanese Rolex, Ladies Replica Watches, and Watch Boxes. Rolling the mouse’ cursor over these buttons reveals a list with the available watch designers. The replicas are primarily organized by type of mechanism and by gender, and secondarily by brands. 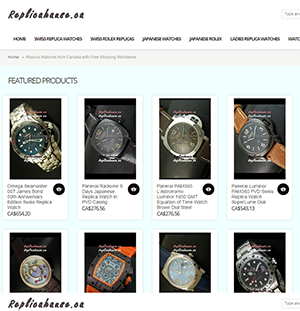 The selection of fake watches carried by Replicahause.ca is really impressive. The merchant offers over 40 brands, some of the most renowned names in the watch industry. Still, each brand only features a couple hundred models. The categories and collections are very well organized so that you can easily browse the models and locate the desired design. Probably, this is also the reason why there is no advanced search bar. There is no way of sorting the products by materials, color or dial size. The company lists its prices in CAD (Canadian dollar). Even though the prices are not very high, these are surely a little bit over the average price available on the replica market for Japanese and Swiss fakes. The more affordable Japanese movement replicas cost about 200-250 CAD while the more pricey Swiss movement imitations are 400-900 CAD. Of course, if the quality is as good as they claim then these replicas are definitely worth the extra bucks. I like very much the way the description page presents all the valuable information about these replica watches. The details are nicely structured and very descriptive as to serve as a very accurate and suggestive indicator for the quality of these knockoffs. Important particularities such as movement type, functions, thickness, size, additional features and water resistance are explained with rich technical details. Essential for determining the beauty and quality of a fake timepiece are the product pictures. 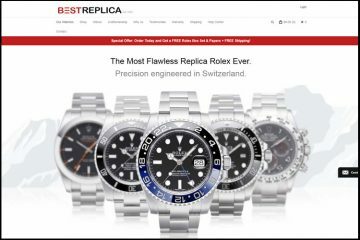 Luckily, Replicahause.ca has some of the most beautiful images I have seen lately on a replica store. Each product has at least 10 very clear photos illustrating all the small parts of the watch, the fine logos and markings and the perfect craftsmanship. This shows how much effort the company has invested in making high quality pictures for its merchandise, pictures meant to prove how accurate its replicas are. 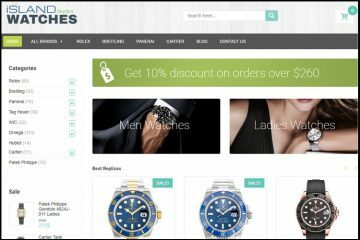 One of the best ways of paying online for a fake watch is by credit card. This is the most secure and easy to use option. Definitely very aware of this fact, Replicahause.ca offers a diverse range of credit card types such as Visa, Mastercard and American Express. Furthermore, if you do not have a card or if you are reluctant about putting your card details online, you can choose to pay by Western Union transactions. The store can ship packages to any country in the world. It also provides two choices for delivery. The first one is totally free, but it is a little bit slow as when choosing this option your order is shipped by registered mail and it arrives at your address in about 15-20 business days. The second choice costs about $20-$30, depending on the delivery country, but it is much faster as the package is shipped with EMS and it arrives in about 7 business days. All orders are shipped with a tracking number that will be emailed to you after the products are dispatched. All reputable companies must provide a professional and highly responsive customer service. In order for this to be possible, the store must be reachable by phone, email and live chat. ReplicaHause.ca does not have a contact phone number, but it does have an email address and a Skype account. Indeed, Skype isn’t something I see as very professional when it comes to customer care, but it still offers you the chance to quickly clarify any inquiry you might have about the company or its products. 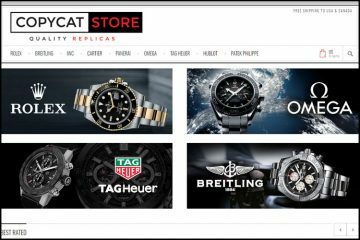 As an overall impression, Replicahause.ca is a very decent company that has a very organized website, a wide collection of replica watches, accepts numerous credit card types, offers free delivery all around de world, has high quality product pictures, and a one year warranty. The only disadvantages of this store are the slightly higher prices, the restocking costs and the exchange fee charged for all returns. 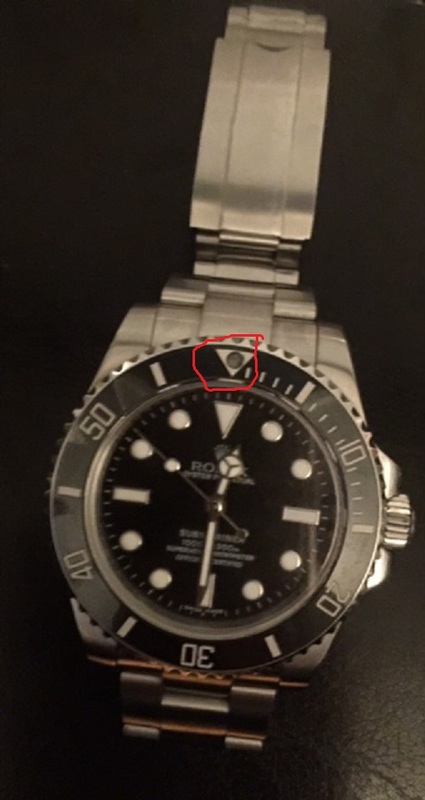 J’ai reçu ma montre, (commande n° 11145 du 26 novembre 2016) une Rolex Submariner, après 3 semaines j’ai perdu la petite capsule situé sur le cadran à midi (Rolex submariner).Attention le SAV est nul et le personnel vraiment désagréable. Le prix de la capsule est de 1, 00$ mais Replicahause me demande 50, 00$ pour l’envoi de la capsule (qui pèse 1 gr), c’est du foutage de gueule ! A l’avenir je vais éviter de commander sur ce site, car pour un achat de 600, 00 euros on mériterait un peux plus d’attention ! Madame Keisha Gomes m’a directement fait savoir que je lui faisait perdre son temps ! En plus elle m’a envoyé un mail pour me dire qu’elle allait me dénoncer auprès de Rolex pour avoir acheté une copie ! Un comble pour un site qui ne vend que des fausses montres ! c’est inadmissible un tel comportement ! Alors à l’avenir abstenez vous d’acheter une montre chez Réplicahause car en cas que de problème on vous dénonce auprès de la marque de la montre achetée.Site vraiment à évité !